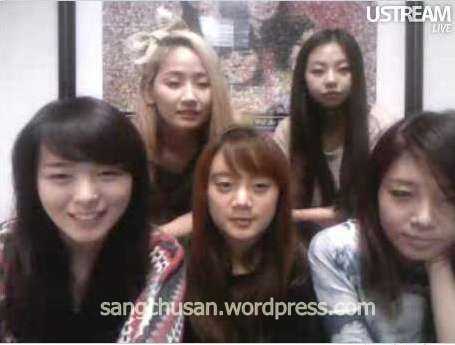 MANILA, PHILIPPINES (Feb. 11, 2011) -- The five members of girl group Wonder Girls held a live video webchat Thursday morning from New York City (10 p.m. in the Philippines) to update fans on their activities and also celebrate their fourth anniversary. Thousands of fans from different countries including South Korea, Singapore, and Philippines joined the video chat and sent messages mostly congratulating the girls on their anniversary and asking them when the new album will come out. Fans have been clamoring for a new album ever since the girls released “2 Different Tears” EP in May last year. The Wonder Girls were busy last year on their US and Canada Wonder World Tour concert. During the live video chat, the girls politely declined to reveal the date of the album release but said it will be released before the midyear. The girls said they are currently working on the album. “It’s a big secret but we’re definitely working on it and it’s going great. Some of the songs are already done recording,” they said. 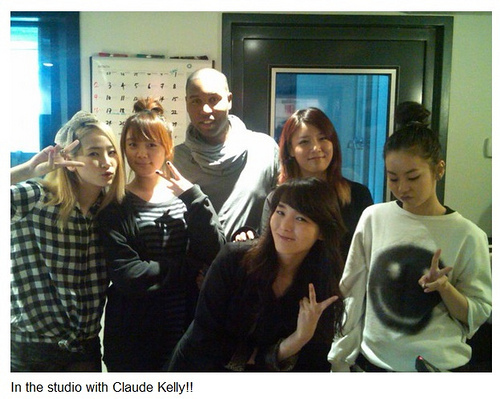 The girls are currently working with American singer and songwriter Claude Kelly on their new album. Kelly has written songs for Britney Spears and Kelly Clarkson. Kelly also greeted the Wonder Girls on their anniversary. “Congrats to my awesome friends the Wonder Girls for 4 years of success,” Kelly posted on Twitter. After releasing the new album, the girls will go on another concert tour and visit different countries including Japan in August. Wonder Girls member Sohee thanked the fans for participating in the webchat. “It was really meaningful and great time for us to have the live webchat today on our fourth anniversary,” she tweeted. Here's the link to my article in the Manila Bulletin: Wonder Girls.